Re-NewsIt! : John Crawford III - Toy Gun or nah? 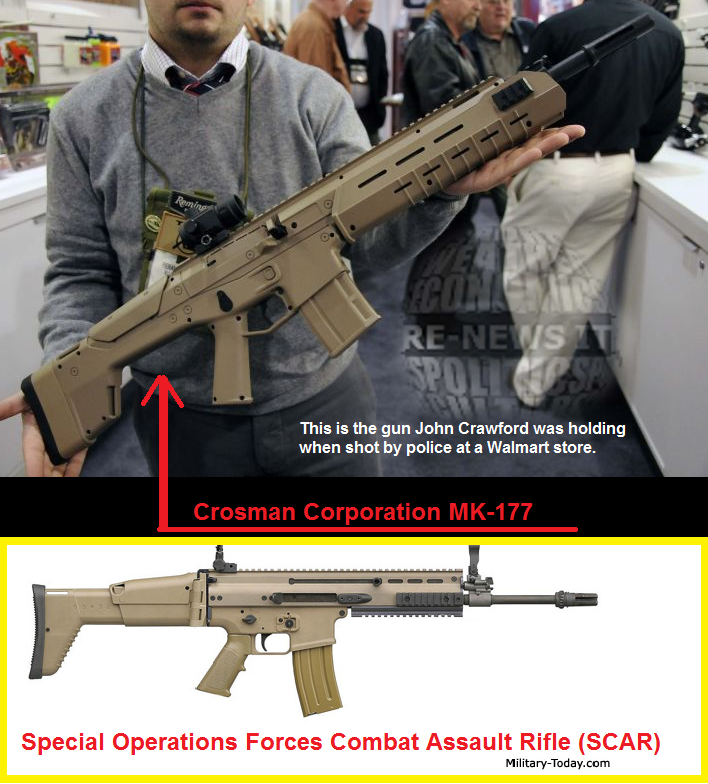 John Crawford III - Toy Gun or nah? A special grand jury hearing the case in the deadly shooting of John Crawford III in a Beavercreek Walmart is scheduled to begin at 9 a.m. Monday in Xenia. Most media stories, and the popular consensus on twitter, is that John Crawford was carrying a "toy gun" when he was shot and killed by police. The state’s attorney general, Mike DeWine, said the weapon was a Crosman MK-177 BB/pellett rifle. This rifle does not look like a "toy" to me. Some say the SCAR rifle, shown below, is much like the assault weapons used in the video game, Call of Duty. Three of the victims were adult men, one was a 16 year old boy, and one an eight year old child. Four of the airguns were .22 air rifles, the other a .177 air rifle. Air guns can cause a variety of serious injuries, often requiring operative intervention. The long-term morbidity from some of these injuries is significant. Both parents and physicians should be aware that nonpowder guns are not toys, but weapons capable of inflicting serious trauma. The evaluation and treatment of air gun injuries should be similar to that currently used for powder weapon injuries. Recommendations for evaluation and treatment are made. Ronald Ritchie made a call to 911 where he described a black man walking around a Walmart store with a weapon. “He’s, like, pointing it at people,” he told the 911 operator. But in an interview with The Guardian, Ritchie retracted a protion of his story, saying, “at no point did he shoulder the rifle and point it at somebody.” Ritchie did, however, stand by his statement that Crawford was “waving (the gun) around". According to police, Crawford was not shot for pointing OR waving the gun, he was shot for not obeying officers demands that he put the gun down. Family attorney Michael Wright says the Wal-Mart surveillance video of the incident refutes that claim. This is an odd statement since Wright has been publicly critical of police for not allowing anyone to see the surveillance video of the incident. An attorney for the family of John Crawford III, the man fatally shot by police in an Ohio Walmart store, says surveillance video contradicts the police department's version of events, reports Gawker. Officers say Crawford refused to drop the pellet gun he was holding, but the video allegedly shows them gunning him down "on sight." In fact, the family’s attorney said they were still waiting for a response to their requests to release the surveillance video. Spokesman, Brian Nick: “In terms of giving it or allowing access to anyone else at this time, it wouldn’t be appropriate because it’s an ongoing criminal investigation". The drama unfolded on Tuesday night after a witness at the scene told a 911 dispatcher that a man with a rifle was near the pet supplies section and appeared to be loading a firearm. There is a gentleman walking around with a gun in the store. … He’s, like, pointing it at people,’ the witness said (See video in link below). John Crawford was shopping in Wal-Mart (shown in a file image) in Beavercreek, Ohio when he was shot dead by police. According to abc22, the two officers involved in the shooting were Sgt. David Darkow and Officer Sean Williams. Later in the call, sounds like gunshots can be heard, followed by someone screaming for people to leave. Beavercreek police said initial investigations indicate the officers responded appropriately. State investigators will review the shooting. 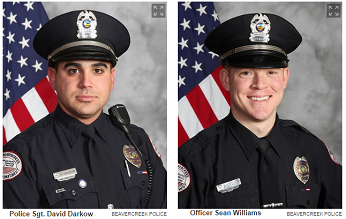 After the shooting, Chief Dennis Evers, Beavercreek police Department, said: ‘Officers confronted the subject inside the store area near the pet supplies holding a rifle. The officers gave verbal command to the subject to drop the weapon. Relatives of Crawford, 22, have since contacted civil rights organizations claiming Crawford was holding a toy gun while in the toy section of Walmart when he was gunned down by police. LeeCee Johnson, who said she is the mother of Crawford’s children, said she was on a cell phone call with Crawford when he was shot by officers. 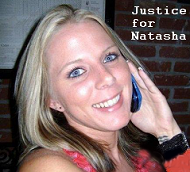 Tasha Thomas, who identified herself as Crawford’s girlfriend and appeared in the audience with his family members at Wednesday’s police news conference, said that Crawford has two children and said that she has been dating Crawford for several months. "He didn't have no gun on him" and, "I grabbed him by his shirt where you could see his waistline, he didn't have anything on him at all". According to the reporter, she then says he got a phone call and walked away from her for a moment. Thomas said she did not hear any shouts or shots. "It's not fair, just like when George Zimmerman got off from shooting Trayvon Martin, this is just the same thing..."
I don't think so, unless Crawford was assaulting the police officers.